The bestselling author of The End of Nature issues an impassioned call to arms for an economy that creates community and ennobles our lives. 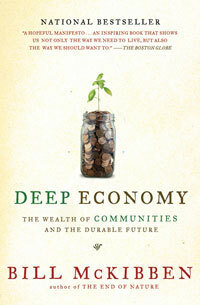 "I'd like to see Deep Economy read in every Econ 101 class. Bill McKibben asks the central human question: What is the economy for? The stakes here are terrifyingly high, but with his genial style and fascinating examples of alternative approaches, McKibben convinces me that economics is anything but dismal—if only we can learn to do it right!" "The cult of growth and globalization has seldom been so effectively challenged as by Bill McKibben in Deep Economy. But this bracing tonic of a book also throws the bright light of McKibben's matchless journalism on the vibrant local economies now springing up like mushrooms in the shadow of globalization. Deep Economy fills you with a hope and a sense of fresh possibility." "How is our nation going to cope with global warming, peak oil, inequality, and a growing sense of isolation? Bill McKibben provides the simple but brilliant answer the economists have missed—we need to create 'depth' through local interdependence and sustainable use of resources. I will be requiring this inspiring book for my students, and passionately recommending it to everyone else I know." 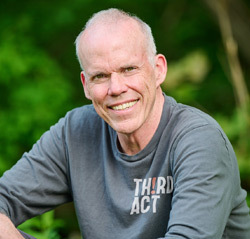 "Bill McKibben works on the frontiers of new understandings and returns with his startling and lucid revelations of the possible future. A saner human-scale world does exist—just over the horizon—and McKibben introduces us to the people and ideas leading us there." "Masterfully crafted, deeply thoughtful and mind-expanding. . . . An incisive critique of the unintended consequences of our�growth-oriented economy." "What makes McKibben's book stand out is the completeness of his arguments and his real-world approach to solutions." "McKibben is a fitting prophet. . . . [His] dexterity as a keen observer and stellar wordsmith makes Deep Economy well worth reading." "Wise and . . . optimistic." "McKibben's proposals for new, less growth-centered ways of thinking about economics are intriguing, and offer hope that change is possible." "[McKibben] ably argues [that] growth has increased inequality and decreased human happiness."